Is Catholic Memorial a legit Catholic Conference and D1 state title contender? We'll find out Friday when the Knights host Xaverian. It's time for SuiteSports editors Matt Feld and Joe Parello to make their picks for all the top 10 games on the docket in week four. Parello’s Pick: When it comes to this CM team, you can call me a believer. The Knights' talent has grown up, and legendary coach John DiBiaso has them thinking they can grab a Catholic Conference crown in his first season. That run begins this week. Feld’s Pick: In a game between two of the best defenses in Division 1, Xaverian's ground game and Cooper DeVeau's versatility makes the difference as the Hawks show they are still the team to beat in the South. Parello's Pick: A sneaky good rivalry game here, but L-S is a wagon this year, and it's hard to see me picking against the Warriors any time soon. Feld's Pick: The Colonials have the makings of a legitimate sleeper in Div. 1 North, but Lincoln-Sudbury is just too much to handle. Acton-Boxboro keeps it close for a half, before the Warriors pull away over the final two quarters. Parello's Pick: I was this(!) close to picking the Redmen last week before they upset BC High and I'm still losing sleep over it. Tewksbury's defense came to play last week, but this week I'll go with the Redmen in a Big 12-esque shootout. Feld’s Pick: In a good, old-fashioned, shoot-out Jake McElory gets the last laugh as North Andover protects home field with a big MVC victory. Parello’s Pick: Mansfield avoided the trap last week against Franklin, and keeps that momentum going to take control of the Hock. Feld’s Pick: King Philip isn't the powerhouse its been the past two years, but they still have one of the top defenses in the state centered around linebacker Jack Webster. The Warriors have Mansfield's number in recent years, the Hornets are banged up, and Ryan Halliday is becoming more formidable by the week. That all adds up to King Philip's sixth straight wins over Mansfield. Parello's Pick: Mashpee, like Everett, is one of those teams you just have to assume will keep winning until further notice. You have to love what Abington has done to start the season, especially defensively, but the Falcons are just on another level right now. Feld's Pick: Mashpee is set to face its toughest challenge to date so far in 2018 as it looks to extend its winning streak to a Massachusetts-high 24 straight games. Abington is goin to be stiff challenge, but this Falcons dynasty still runs the show in the South Shore League. Parello's Pick: Why would I jump off the Braintree bandwagon now? Wamps find a way in what could be the game of the week. 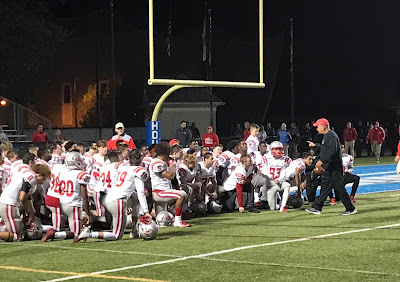 Feld's Pick: Braintree is off to a strong start, but they have yet to face the offensive weapons that Natick possesses and something tells me that after finally picking up their first win, the Redhawks are set to go on a bit of a run. Parello’s Pick: I'm gonna chalk up last week's 12-point (winning) performance against Plymouth North as an aberration for this talented Duxbury offense. Look for the Dragons to bounce back against a good W-H unit. Feld’s Pick: Duxbury's offense has gotten off to slow starts in recent weeks, meaning their likely primed for a breakout performance on Friday night. Parello’s Pick: I love this Nashoba team, and the fact that it is flying under the radar statewide. Marlboro has been impressive with its ground and pound, which is normally Nashoba's calling-card as well, but look for Chieftains' star QB Sam Bolinsky to air it out in a big win. Feld’s Pick: Marlboro's defense has been an unbreakable code over the first three weeks, allowing just eight points so far this season. The Panthers ground attack makes the difference here, with Tim Vigeant allowing Marlboro to play ball-control and keep Nashoba's offense off the field. Parello's Pick: Wachusett is another dangerous CMass team getting no love, but I think this goes the way of the Mountaineers' season-opening loss to Doherty. Look for Wachusett to keep it close, but for St. John's to make a critical play or two in the second half to pull away. 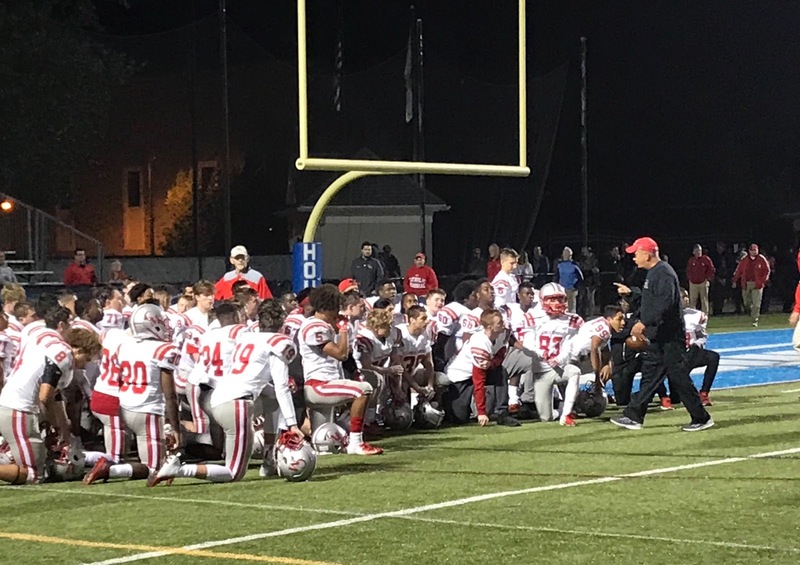 Feld's Pick: St. John's picked up its first win of the season last week with a big win over Leominster, while Wachusett has outscored its past two opponents 84-0. In a contrast of playing styles, St. John's comes through with just enough offense in the second half thanks to star playmaker Eammon Denis to improve to .500. Parello's Pick: One of the better Western Mass games on the docket this week, and a chance for Westfield receiver Baley Collier to turn a few more heads across the Commonwealth. The Bombers' rebuilding project is far ahead of schedule, and their offense carries them to 4-0 this week. Feld's Pick: Looking to protect home turf, the Bombers' continue to fire on all cylinders as they improve to 4-0 on the season.